The drive to shorten product development cycle time often backfires. Instead of increasing the odds of market success for new product introductions, it usually reduces the odds. Product readiness is a point in the product life cycle when the new product can be shipped and supported. 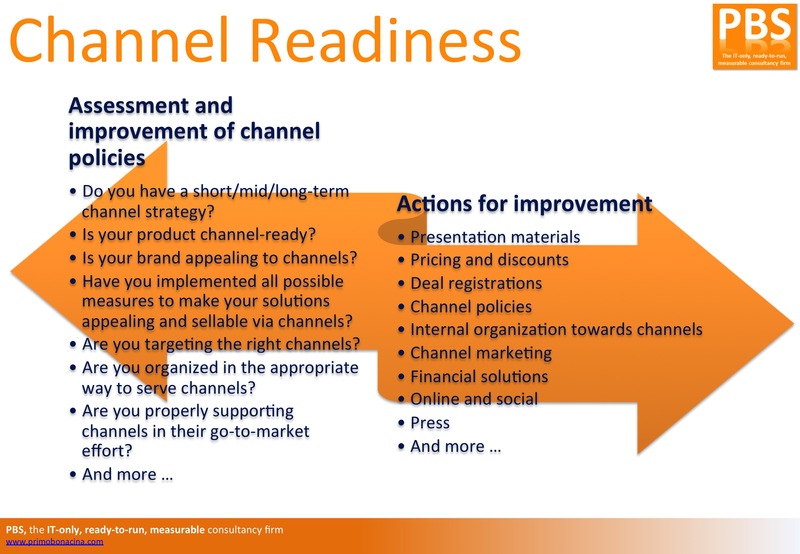 Channel readiness is that point in the product life cycle when the Channel (field sales, inside sales, customer service, and channel partners) is able to successfully sell the value of the new product. The point of greatest competitive advantage is the time period between channel readiness and when the competition launches its response to your new product. The trouble is that most companies are not able to monetize this window of advantage. This is because it typically takes 6-9 months from release to enable the Channel to successfully sell the value of the new product. And, it takes the competition 6-12 months from release to launch its response to your new product. You can see the problem. By the time the Channel figures out how to sell the value of your new product, the competition has launched a “me too” offering, effectively wiping out your competitive advantage and all the development money you invested to gain the advantage. In order to have greater market success you must reduce the amount of time it takes to reach channel readiness. You can do this by reframing the product development process into a customer development process. This shift means that more of the channel readiness tools are built in parallel with the product development work. Do you have a short/mid/long-term channel strategy? Is your brand appealing to channels? Have you implemented all possible measures to make your solutions appealing and sellable via channels? Are you targeting the right channels? Are you organized in the appropriate way to serve channels? Are you properly supporting channels in their go-to-market effort? Contact us with confidence to improve your go-to-market via channels!